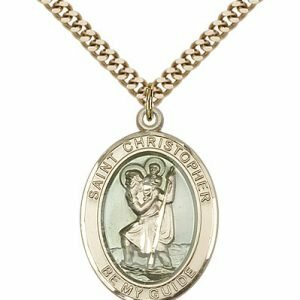 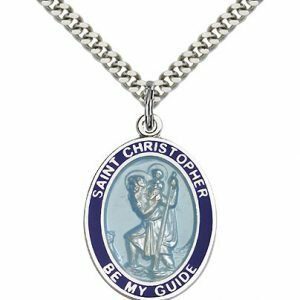 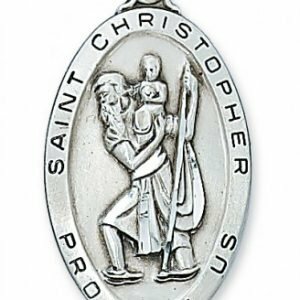 This enameled sterling silver medal of St Christopher measures 7/8″ long, including the loop for the chain. 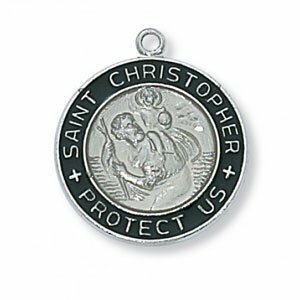 It’s diameter is slightly larger than that of a penny. 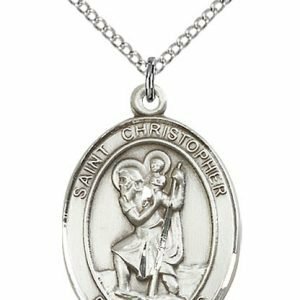 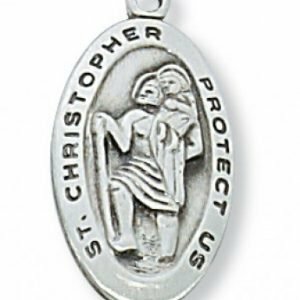 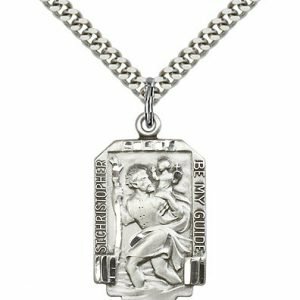 Saint Christopher is the patron saint of America, motor travelers and one of the Fourteen Holy Helpers who appeared to St. Joan of Arc. 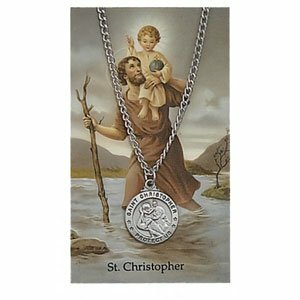 A martyr, Christopher, called Kester, died at Lycia, Asia Minor (modern Turkey).